I started at Galgorm in 2007. I was initially employed as a Christmas Co-ordinator on a short-term contract and then happily I was employed as a full-time sales administrator at the start of 2008. During the early period of my career at Galgorm, my role as Sales Administrator encapsulated many different elements. 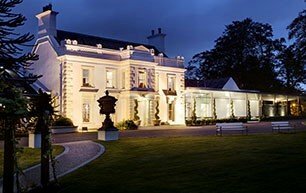 The Resort had just rebranded from Galgorm Manor to Galgorm Resort increasing from 24 to 75 bedrooms so the team was much smaller. I was involved in wedding planning, organising conference, and events, reservations, marketing and switchboard (before we even had a switchboard!). As the team and Resort grew I progressed within this same department to Sales Executive, then Sales & Marketing Manager then to the current position as Head of Sales & Marketing, a journey of 10 years. I feel very lucky that Galgorm firstly recognised my potential (I think even before I did!) and encouraged and nurtured my skill set over time. I have worked with great colleagues and managers along the way, most of whom I still work alongside, who have been there for support, to learn from and importantly with whom to enjoy my working career. My current role is Head of Sales & Marketing for the Resort, I manage a team of 16 who look after Marketing, Weddings, Business Development and MICE. My role is extremely varied as it involves all departments within the Resort, focused on future strategy and business growth. I love having been a part of the Resort’s growth over the last 10 years and having the privilege to have gone on that journey with a number of my colleagues and Resort guests and clients. 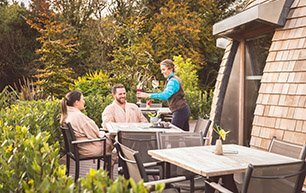 I love having the interaction with all departments, the fast-paced environment and being a part of the growing tourism sector in Northern Ireland. You have to be in it for the love it! It can be long hours and hard work but there will be loads of fun along the way. 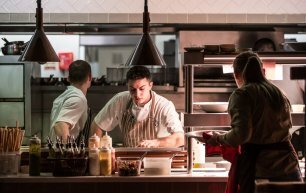 I would encourage people to view it as a career and not just a stop gap, hospitality offers huge opportunities for career progression and development. You will learn life skills that you can take with you across the globe if you choose and having the opportunity to play a part in creating memorable experiences for guests is extremely rewarding.